Prototyping a match-three game? Building a mock-up of a Tetris-like game? 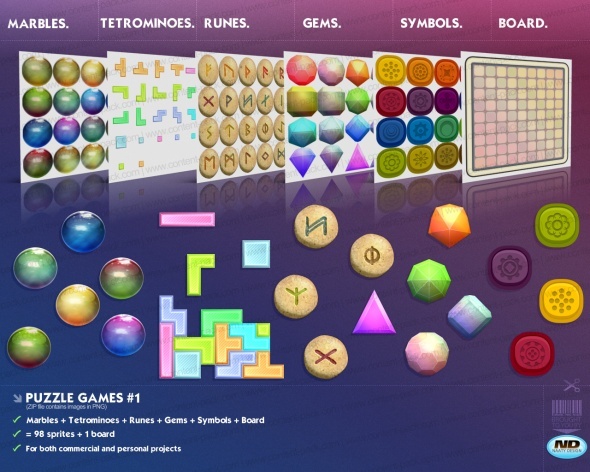 This pack features 98 sprites + 1 board/background dedicated to all puzzle games with match-3 gameplay, Tetris-like and so-on. Royalty Free Content Packs: 1835 royalty free sprites + 4 backgrounds and counting! 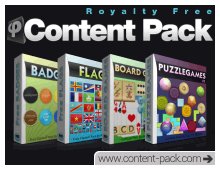 Partager la publication "Royalty Free content pack Puzzlegames Volume 1"